next level - with us. At Greenwood Hospitality, discover a supportive, nurturing environment where professional growth is a top priority. In addition to rapid advancement, we offer lifelong learning opportunities and a chance to give back to your community in a meaningful way. Ivana Cessante started at The Henry in 2014 as a Hostess at our restaurant TRIA. After just 90 days she was promoted to a Front Desk Agent. From there Ivana transferred to Sales as a coordinator. In 2017 she was promoted to Event Manager and is thriving. A true Henry Success Story! 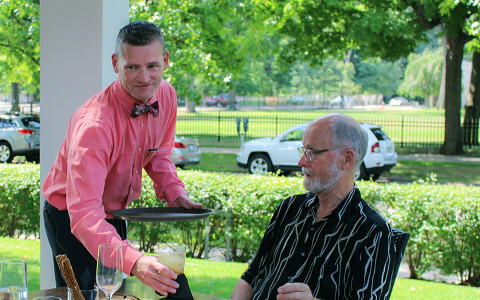 Kelley Busch started at The Henry in 2013 as a Cook III. In 2014 she was promoted to a Cook II. She was then promoted to Cook I in 2015. Kelley is a star performer who is learning a lot and we are grooming her for her next step in Culinary. Michael Merchan was hired in 2010 as a part-time Utility Engineer. In 2011 he became full-time in that position. In 2012 Mike was promoted to Engineer II. In 2016 Mike was promoted to Engineering Supervisor, he also received his Boiler Operator license and he is now being groomed for his next step in our Engineering Department. 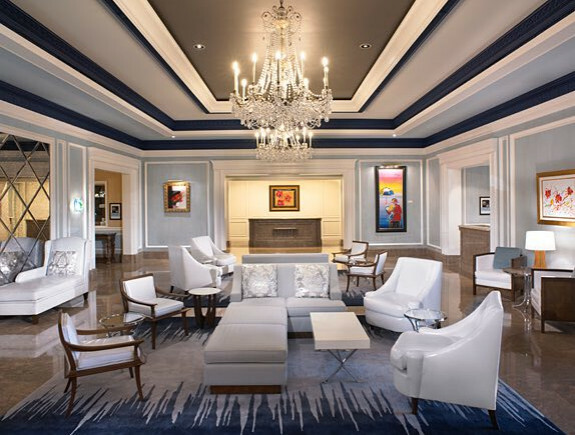 Ronald Thomas, when at the RItz-Carlton, started a community outreach program where the hotel employees go into Detroit and feed the homeless. This is something that is still carried on to this day at The Henry-Autograph Collection. Mr. Thomas collects food, clothes, linens and organizes to help those in need in at the Detroit Rescue Mission the same organization that helped him. On the job, Mr. Thomas is considered a mentor to the new employees at The Henry-Autograph Collection and a trusted friend to many. Ron is now the go-to-ambassador at The Henry-Autograph Collection. He is the Ambassador that exhibits the Greenwood Hospitality service values of Personal, Social and Responsive each and every day. 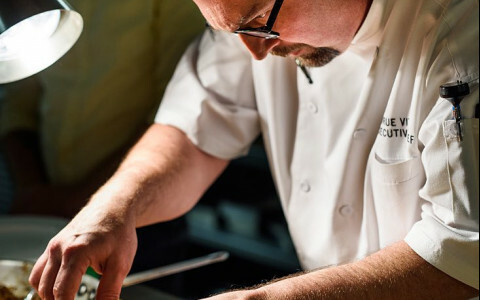 Bill Collier began his culinary career at the Pennsylvania Institute of Culinary Arts in Pittsburg. He started work at the Hilton as a Garde Manger, and then moved to Bricco where he worked as Sous Chef. He has been the Executive Sous Chef at both the Hilton and Bricco, and he is currently the General Manager and Executive Chef at Bricco. Allison Graffius started with us as a Guest Services Agent while home from Penn State where she majored in Hotel, Restaurant, and Institutional Management. Upon graduation, she was promoted to a Front Desk Supervisor and then Guest Services Management position and later furthered her career by becoming a Housekeeping Manager. She currently works as our Executive Assistant and the Office Manager in our Sales and Marketing Office while she returns to school to pursue her dream of being a teacher. Margaret Clayton-Jackson started with us as a Guest Services Agent. She later transferred to our housekeeping department and began working as a PM Room Attendant. She quickly was promoted to a PM Supervisor and is now a Housekeeping Manager. Steve Hess began his career with our company as a Bell Attendant where he worked for one year before gaining some additional hospitality experience in Philadelphia. He then returned to the Hilton Harrisburg as a Guest Services Agent and moved through the ranks to eventually become our Director of Guest Services. John Mitchell started off in security and is now a shining star in our engineering department. Andy Lavalier started as an Assistant Banquet Manager and has been promoted to Conference Services Manager and then again to a Sales Manager and is doing a great job! Jennifer Flores hired as a Bartender in 2011-2016. Rehired in 2017 as a server, promoted to Supervisor and promoted to Catering Manager, 2018. Nicole Jones hired as H/K Room Attendant 2016, promoted to H/K Supervisor 2017. Justin Lambert hired 2011 as Line Cook, 2014 promoted to Lead Cook, 2016 Promoted to Sous Chef. Jared Stewart hired 2016 as Line Cook, promoted to Lead Line Cook 2017 Banquet Chef 2017. Shawnda Simmons, hired 2016 as Restaurant Server, promoted to Lead Server for Milford’s Deli 2017. Heather Prince-McGill started off at the front desk as an agent, moved to Front Desk Supervisor and is currently our Executive Assistant. Nicole Kiss began as an Executive Assistant and is now a Sales Manager. Todd Pawlak started off as a Line Cook and is now the Kitchen Supervisor. Jennifer Smith was a Lead Front Desk Agent and is now our Banquet Supervisor. Jussica Kuebler was the Front Office Manager then Director of Revenue and when Greenwood came in they promoted her to Director of Operations. Paul Jordan started off with us as a Guest Service Agent. Through dedication and hard work he was promoted to Front Desk Supervisor. Liz Coffey started off as a Server in our restaurant. After sometime she was promoted to Restaurant Manager. From there she took her talents to our Banquet department, becoming the Banquets Manager. Liz is now our Director of Catering. Cordell Richardson started off with us as a Dishwasher. Cordell worked his way up and is now one of our best Line Cooks. Katherine Hess started off with us as a Guest Service Agent. She is now a Sales Manager. Anne Smith started off with us as a Room Attendant. Within months of her consistent hard work and eagerness to grow she became an Inspector. Joseph Chaney started off with us as a Line cook. Joseph was promoted to Kitchen Supervisor. Belinda Howard started off with us as a Line Cook. Belinda is currently a Kitchen Supervisor. Kevin Nicholls started off with us as a Sales Manager. With his outstanding success record he became our Director of Sales. Kelly Morris started off with us as a Sales Manager. Through her creativity and success record she was promoted to Senior Sales Manager. Larissa Olander started off with us as a Guest Service Agent. She is now our Front Desk Assistant Manager. Jeremy Reeves was a Sous Chef and recently got promoted to Executive Sous Chef. Candida Hernandez started out as a Server, got a promotion to Restaurant Supervisor and recently received another promotion to Banquet Manager. Brad Larson is currently a Steward and is interested in becoming a cook. Once the current steward on leave returns, he will be receiving a promotion to a Line Cook - he is aware and very excited. Jana Howell started as a Front Desk Agent, received a promotion to Front Desk Supervisor. She was interested in Sales so she moved into the Sales Coordinator position where she advanced out of and recently received a promotion to Convention Services Manager. Kejuan Montley started as a Server Assistant, graduated to Room Service Server. Feel interested in Cooking so was promoted to Assistant Cook and graduated to Line Cook a few months ago. Wilson Morales-Lopez started as Server Assistant and recently advanced to Room Service Server. Alanna Armstrong started as a Host and advanced to Room Service Server. Katie Pitts was hired as a Cocktail Server in 2013. She quickly cross-trained as a Bartender, Restaurant Server, IRD Server, Banquet Server, and Lounge Concierge. She was then promoted to Restaurant Supervisor in July 2016, then to our Restaurant Manager in October 2016. In July 2018 Katie was promoted to Banquet Manager for us. Allison Crump was hired as a Sales Manager in December 2012. She was promoted to Director of Sales in March 2013. LaTandra Dempsey was originally hired as a Night Auditor in 2011. She was promoted to Night Audit Supervisor in 2013, then Front Office Supervisor in 2015. LaTandra was again promoted to Front Office Manager in 2017. Lacey Terrell was hired as a Sales Coordinator in 2011. She was promoted to Sales Manager in 2013. Kenya Davis was hired as a Bartender in 2016. She also cross-trained as Cocktail Server, Restaurant Server, and IRD Server. She began working Lead Bartender, then PT Restaurant Supervisor shifts in 2017. In July 2018 Kenya was promoted to Restaurant Manager for us. Katrina Marks was hired as a Night Auditor in 2014. She was promoted to Night Audit Supervisor in 2016. Chelsea King started after graduating ESU. She began as Front Desk Agent, then Front Desk Supervisor, Sales Coordinator and now Business Transient. Michael George began as front desk agent, front office supervisor and now Assistant Front Office Manager. Adam Hluschak began as front office supervisor, Assistant Front Office Manager and then Front Office Manager. Shea Ortiz Front Desk Agent to Lead Navigator. Chelsea Frohnheiser Front Desk Agent to Accounts Receivable. Rob Hillman Engineer to Lead Engineer to Facilities Manager. Benjamin Cole Night Audit to Engineer to Engineering Supervisor. Glenda Byrd Room Attendant to Inspector. Danielle Hann Room Attendant to Housekeeping Supervisor. Sarah Arndt Hostess to Restaurant Event Coordinator. Colin O’Brien Bartender to Bartender Supervisor. Eduardo Aburto Line Cook to Chef de Cuisine. JR Lundy Pastry Chef to Executive Sous Chef to transferring to Northland as Executive Chef. 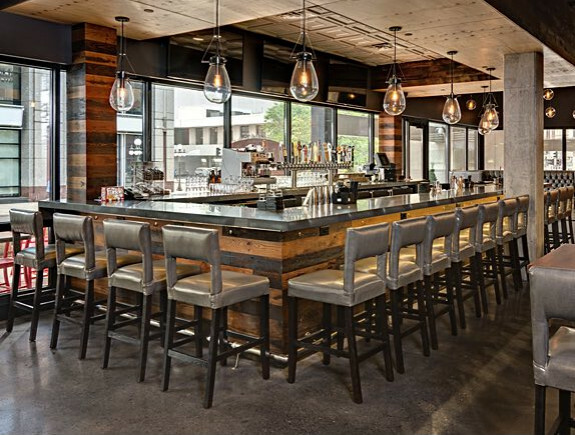 Peter Donkonics Task Force Restaurant Manager to Restaurant Manager to transferring to Northland as Food & Beverage Director. 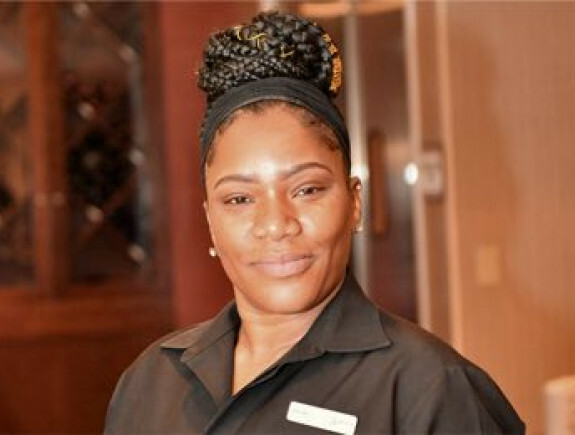 Jennifer Smith exemplifies the Greenwood EFFECT every day in her role as Banquet Supervisor at the Radisson Hotel at Cross Keys in Baltimore, where she began her hospitality career as a Lead Front Desk Agent. 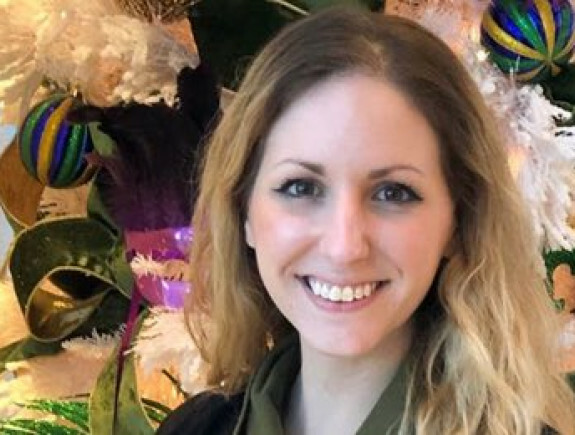 Hats off to Nicole Kiss, who joined the Radisson at Cross Keys in Baltimore as an Executive Assistant and is now a Sales Manager at this 147-room hotel. A true Greenwood Ambassador, Ivana Cessante embodies the highest ideals of Greenwood Hospitality. She started her career at The Henry in 2014 as a hostess at TRIA, then made the leap to Front Desk Agent in just 90 days. From there, she moved to the Sales Department as a Sales Coordinator and was promoted to Event Manager in 2017. Since her hiring in 2013, Katie has made great strides within the staff at the Renaissance Baton Rouge. Although she was initially brought on as a Cocktail Server, Katie quickly set out cross-training as a Bartender; Restaurant, IRD, and Banquet Server; and a Lounge Concierge. Her well-rounded skillset — and her willingness to learn a slew of new positions — earned her a promotion to Restaurant Supervisor in July 2016, and three months later, she became our new Restaurant Manager. Today, Katie serves as our Banquet Manager. With a work ethic as strong as hers, who knows where she’ll be in a year’s time! Having developed a passion for kitchen work at the age of fourteen, Chef Anthony Bianco made the most obvious career decision shortly before his college graduation to enroll at Harrisburg Area Community college to embark on a new career path within the culinary arts as his love for food and the excitement of the kitchen could not be matched by textbooks and chalk boards. 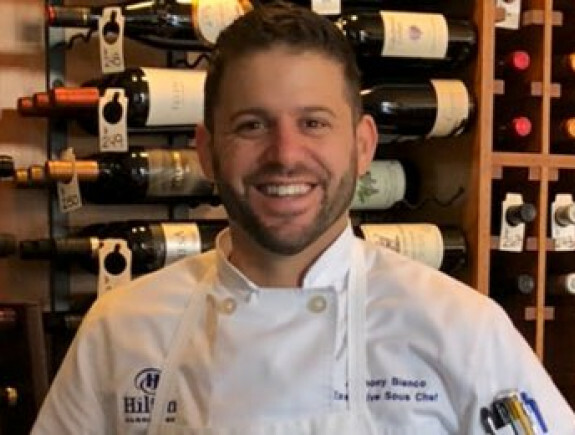 While completing his course work and apprenticeship at Bricco, Tony was given the opportunity to join Chef John Reis and the culinary staff at the Hilton Harrisburg and later as the Executive Sous Chef of the Hotel. 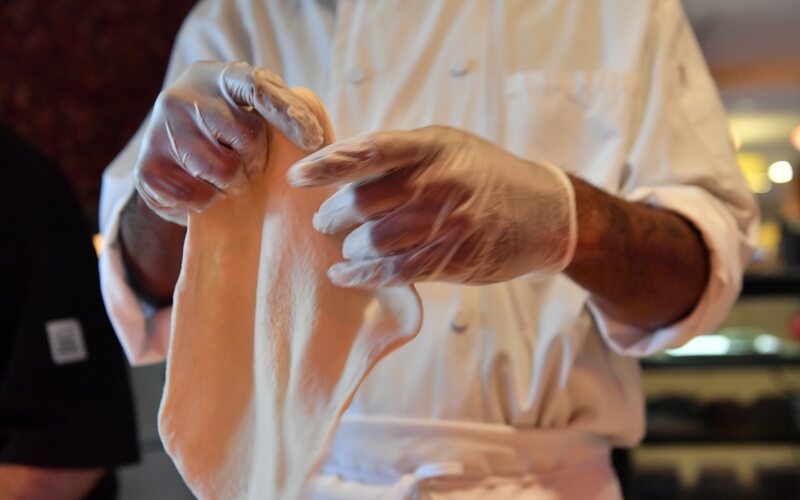 Once in position, Chef Bianco and his team continued the great tradition of the “Golden Sheaf” by earning multiple AAA Four Diamond Awards and DiRona recognitions. 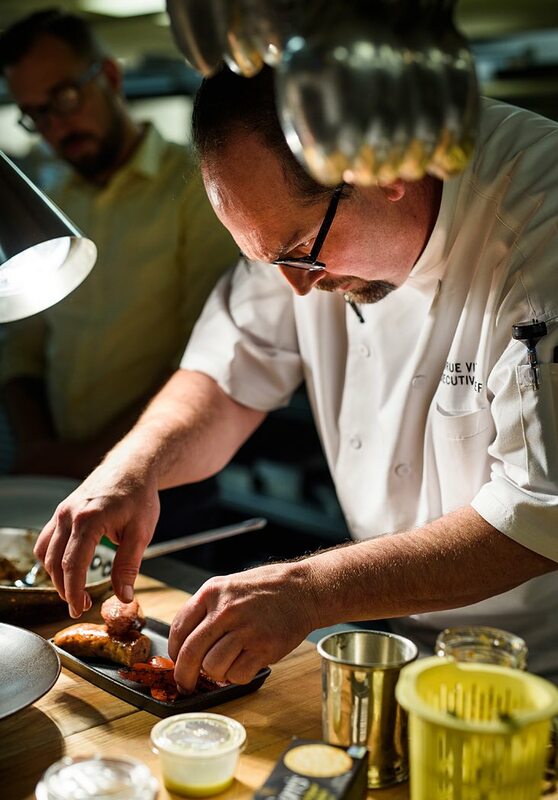 Later in his career Chef Bianco’s development of the culinary offerings of Ad Lib Craft Kitchen and Bar and 1700 Degrees Steakhouse earned him the designation as one of the “40 under 40” in the city of Harrisburg. As Tony approaches his twelfth anniversary with the Hilton, he continues to appreciate both his own professional growth and that of Greenwood’s vision moving forward. Michael first joined the staff at The Henry, Autograph Collection, in 2010 as a part-time Utility Engineer. He quickly scaled the corporate ladder: Within a year, Michael became a full-time employee, and in 2012 was promoted to the position of Engineer II. Four years down the line, he was promoted to Engineering Supervisor and earned his Boiler Operator License; yet despite his success, he still strives for his next promotion. Working tirelessly behind the scenes, Michael embodies the Greenwood Hospitality spirit, and we are proud to have him on our team. 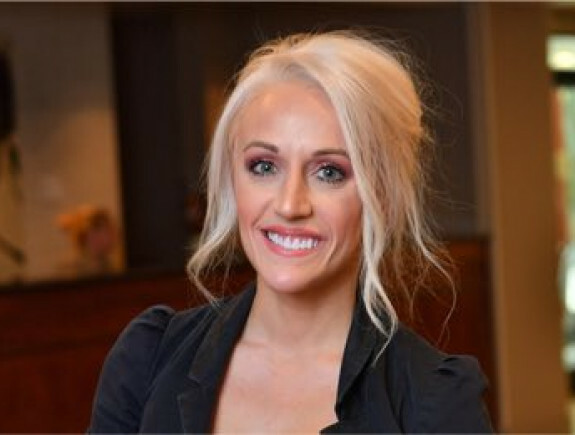 Although the DoubleTree St. Paul Downtown first brought her on in 2017 as a Front Desk Agent — and although she was quickly promoted to Front Desk Supervisor — Jana’s passion was in sales. Following her gut, she shifted into a new department, settling in as a Sales Coordinator. She’s thrived since. 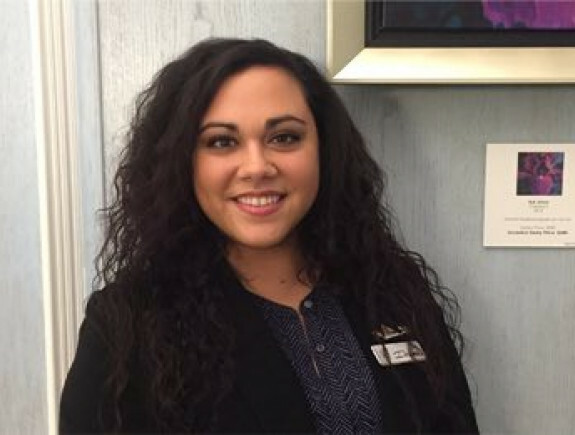 It only took Jana three months to earn a promotion, and, since August 2018, she’s expertly fulfilled her duties as a Convention Services Manager.